Never mind the fact that the following online destinations sell some of the coolest, most fashionable, luxury handbags on the internet. They specialize in eco handbags, which means they are entirely made of sustainable materials like hemp, organic cotton and recycled materials like 35 mm film slides, candy wrappers, record albums, soda pop tops and even tractor tires! Pay no more than you would for designer handbags, look great and help the planet all at the same time! ECOHANDBAGS.CA is GREEN GRANNY APPROVED! If you want exceptionally cool , fair trade items like hand bags, backpacks, wallets, passport holders, purses, hats and accessories, Earth Divas is where they are at! They even have kids stuff - bags, backpacks, puppets, and much more. This amazingly interesting company (you have to visit and read the history behind this fair trade company!) is one of the biggest reasons we have even made an eco-friendly hub for shoppers! It is companies with true humanitarian meaning to them that makes us want to work each day! 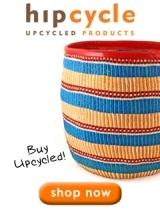 All items are fair trade products. This store is super easy to navigate, you can shop by product, price, sale, new items, and the pictures are amazing. The selection of bags, hats and more is ever-changing from season to season, so you will never get board browsing their inventory. Materials go from cotton, recycled rice, recycled silk, hemp, wool and more. Included in our top picks at Earth Divas is the Hemp Side Back Pack and the Hemp Kashmire collection. We strongly encourage ALL of our customers to visit Earth Divas today to see some of the most amazing fair trade items available! Passchal takes designer eco chic handbags to the next level. Not only does Passchal use recycled inner tubes from tractor tires in all of their stylish classically designed, high end bags, they give Coach, Prada and Kate Spade a serious run for their money in terms of the quality, luxury and design appeal. Featured on the Today Show, Rolling Stone Magazine and Back Stage at the Tony Awards, Passchal certainly has caught the buzz of the celebrity world, and is now making it's way to the more mainstream crowd with prices that are actually reasonable considering the extraordinary marksmanship and what we like to call eco-innovation of Passchal's eco handbags. FYI, the Passchal handbag contains an interior LED light system that automatically shuts off when you close the bag. They are guaranteed to last up to 10 months and Passchal ships free replacement bulbs for the lifetime of the bag. Click here to see a great layout graphic of the classic Passchal eco luxury handbag. To date, Passchal has recycled over 32 tons of rubber inner tubes. With a Passchal eco handbag over your shoulder, you will be helping them recycle even more. In addition to inner tubes, Passchal uses by-product leather and vegetable dyes. Visit Passchal to view their full collection of eco handbags, including clutches, sign banner bags, and men's brief cases and wallets. Eco Handbags is just like their name says. In fact, Eco-Handbags doesn't just carry eco handbags, they carry a HUGE collection of handbags and bag carriers made of materials ranging from chopsticks and candy wrappers to denim, juice boxes, billboards and sweaters. Kind of the like the Amazon.com of eco chic handbags, Eco-Handbags gives you the option of searching by material (over 30 recycled and eco-friendly materials), and carries several types of bags in both eco chic and more casual styles. For example, their Soda Pop-top bags come as purses, shoulder bags, coin purses, cosmetic bags and cell phone cases. Eco-Handbags also carries more hard-to-find "activity" niche bags like gift bags, messenger bags, wine bags, diaper bags, dog carriers and more. If you came to this page looking for an eco-handbag or eco-bag for that matter a little more simple and less luxurious (and on the whole, less expensive) as those offered at Passchal, then Eco Handbags is our top choice for a large variety of unique, eco-friendly handbags. Eco-Handbags is a member of 1% For the Planet - meaning they donate 1% of their sales to charitable organizations.